I have personally deemed 2018 to be the year of success, and surpassing personal goals. As we conquer our goals this year, it is highly important to look your best while you are at it. That is why I have listed 3 key items you need to help you jumpstart your winning wardrobe, and to ensure you slay this year in style. 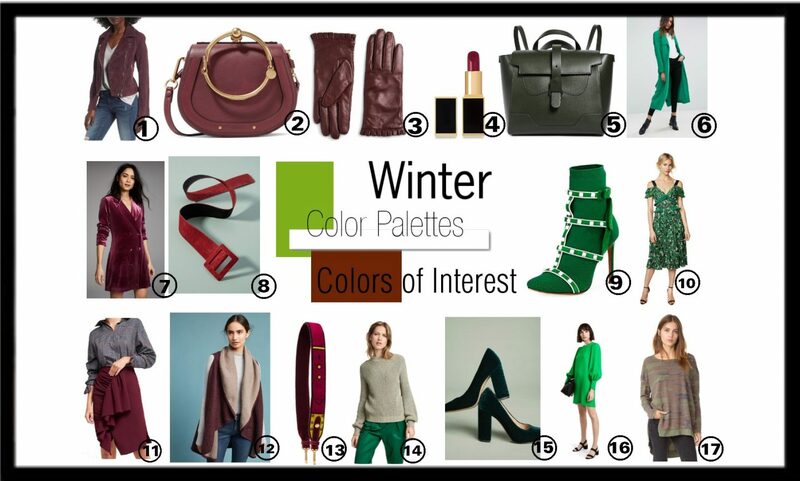 Add interesting winter hues like green and burgundy to your wardrobe. Burgundy and green are two key colors you need in your closet this season. Both colors are interesting and blend-in perfectly against the harsh cold winter air. Add interest to your winter wardrobe this year and include burgundy and or green to your outfit of the day. Below you will find my must-have picks in my new favorite color burgundy, and green. I love all these pieces and they are currently on my wish-list. Happy Shopping. I’m obsessed with chunky knit sweaters. Not only are they comfortable, but they are on trend. A lot of people tend to shy away from this trend because of the bulkiness of the silhouette. The key to wearing this stylish sweater and not look like you gained 10 extra pounds is to style it with pieces that show off your most flattering body parts. 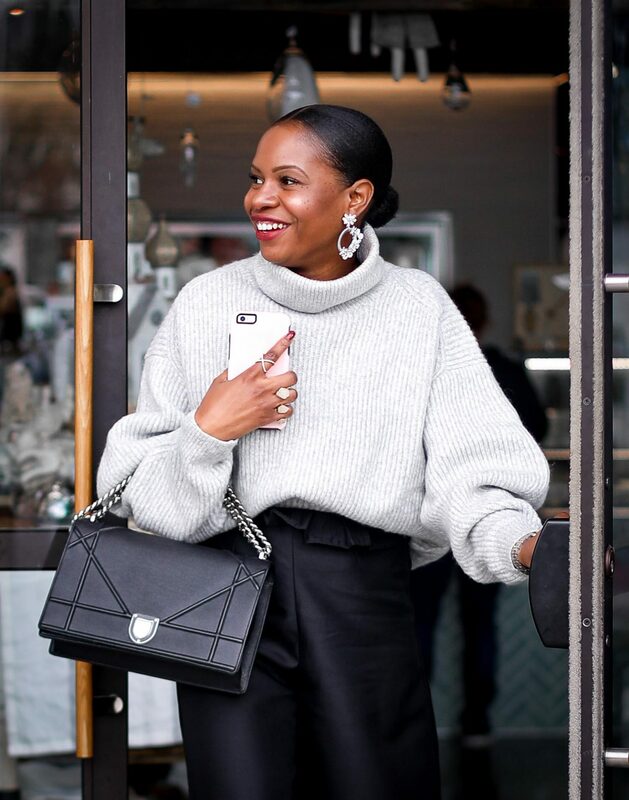 If you have a narrow waist-line, opt for a crop chunky knit sweater and wear it with a high-waist bottoms that are fitted around the waist-line. Girls with long slim legs should pair their’s with skinny jeans or slim fitting pants. Wearing heels with this trend will elongate the body and also create the illusion of a slimmer silhouette, hence you should try to match your chunky sweaters with high-heel shoes. Below you will find the must-have chunky knit sweaters of the season that are currently on my wish-list. Happy Shopping. I know most people tend to be practical with their coat purchases during the winter, however a fabulous coat is a must. Because winter is such a downer with the frigid weather, I believe it is important to spice up your winter wardrobe with an amazing coat. 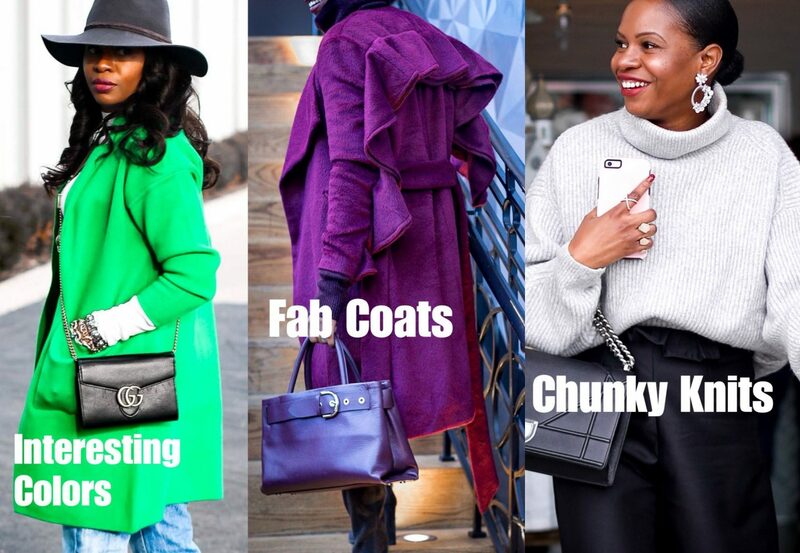 A fabulous coat is anything other than your classic boring silhouette. 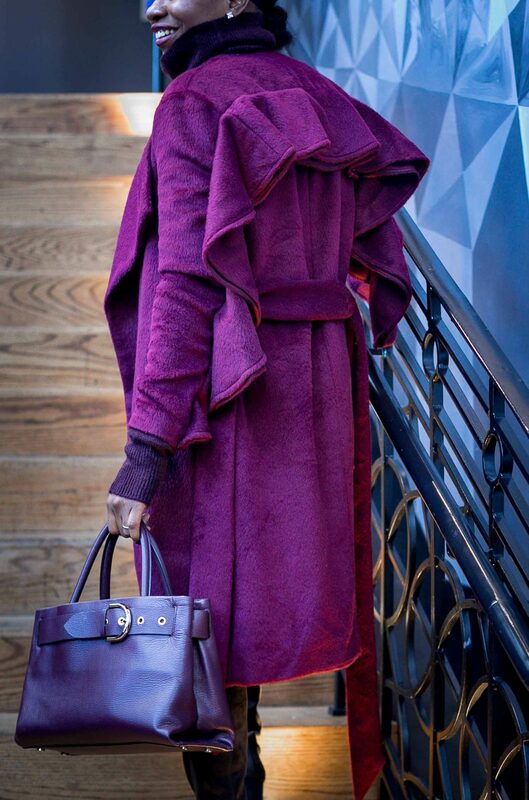 Color, material, extra details like ruffles and bows all constitute for a fabulous coat. The more details the better, so don’t be afraid to go a little over the top. Regardless of how detailed the coat you purchase this season is, make sure it suits your personal style. 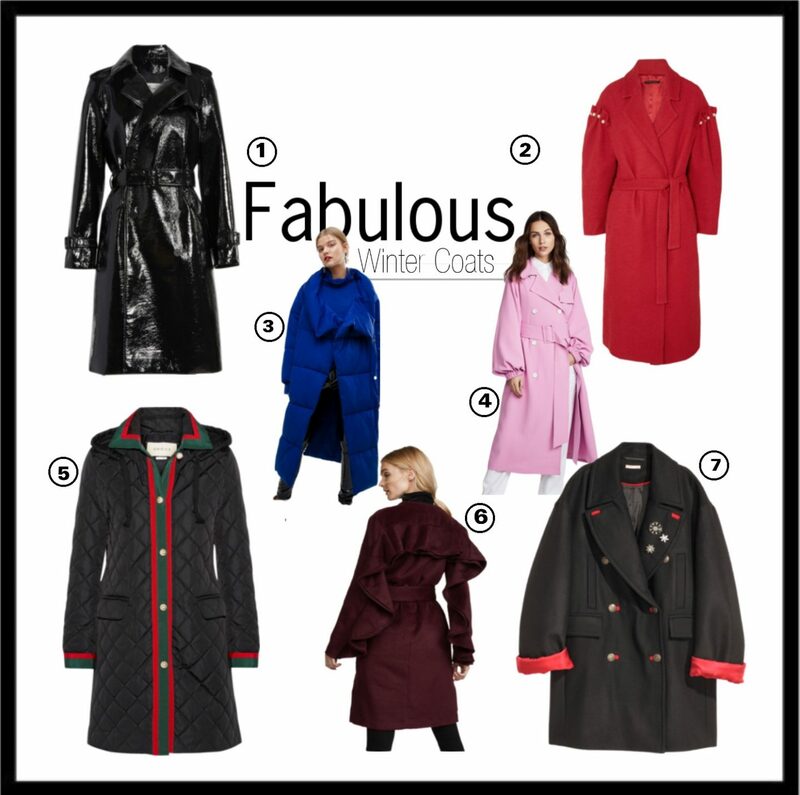 Below you will find the must-have coats of the season that are currently on my wish-list. Happy Shopping.